When I do my ethnography talks, one of the most important topics I cover is what people DON'T do. What they NEARLY do and, so it follows, what they don't say. Conventional research is all about what is done and said. If lucky, some researchers will add meaning/interpretation too. If not so lucky, the quotes/statements will be presented as insight... Which is why agency planners like to differentiate themselves from researchers as follows: "A qual researcher will tell you everything that was said in a focus group, while an agency planner will tell you everything that wasn't said." Not sure where I read this but I think it was in a Linkedin group post. By a planner. Another very nice (true) story I heard recently from a Kantar director goes as follows: During WW2 aircraft engineers spent valuable time and resources trying to figure out how to reinforce wings and fuselages so aircraft would survive heavy damage while on missions. They would study in great dept bullet holes and the like to try and engineer better aircraft until one particular engineer realised that the bits of the aircraft to study were the places not hit by bullets. And a personal anecdote: I am a fine artist by training. The most important lesson I ever learnt was about what not to draw. That could be conveyed by the lines or colour around it. 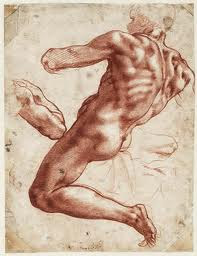 Look at the drawings by the old masters and you will see what I mean. My personal obsession with naturalism and reality are forever being blind sided by the way we are forced to recruit respondents. This is not about the quality of respondents. We always recruit excellent respondents. But nonetheless respondents who have been selected on the basis of their answers to attitudinal and other questions. [A brief story: When I was at DDB London many years ago heading up their ethnographic research unit, I was showing a planner colleague some edits of one of our households when his jaw dropped. "But I did an in-depth with the same guy in that same house!" I looked at him and was taken aback by how upset he was. "He told us he was a hospital nurse!!!" The above happened over 12 years ago. Why did it happen? Most likely because the client had extremely tough criteria and the recruiters were in a hurry - which they always are - to deliver. And people get so obsessive about how respondents answer particular questions they completely ignore the fact that they too are humans, just like the rest of us, who have their own agendas for becoming respondents. This agenda us usually money related. Now for something hard to swallow. I have lived in with hundreds of households, both in my JWT days and my DDB days. All had ticked the correct boxes. All fitted narrowly defined criteria by the way they had responded to screeners. In many cases when we presented back films (and in those days I didn't do jump cuts or short edits) the client would be seeing their segment for the first time in their OWN SETTING. And they would ask questions such as: Why does a C2D household have a flat screen TV and health club membership? (A: because they are on benefits and pay no taxes). Why is a 'healthy' household having a fry up breakfast on a Saturday??? (A: because they don't see it as unhealthy) And so it went. Clients would see their respondents in-situ for the first time and slump back in their seats at all they things they might have got wrong with the way they understood them. It's worth saying that I have never cut out events and happenings which conflict with who the respondents are supposed to be. It's tempting to do because the last thing you need is to be accused of bad recruitment which will undermine just about everything you have done including each and every insight generated. When clients do question recruitment, I so want to demonstrate to them that the same respondent can fit all of their segments depending on context. I so want give another presentation so they can see the different hats, attitudinal and other, worn by respondents depending on their moods and modes. And Ethnography is such a brilliant way of bringing these things to life. Yet we don't. We recruit and capture respondents like they are two dimensional beings with emotions, beliefs and values which are constant. HA! You the reader have better things to do than read my ramblings here so I will get to the point. What is our mission for 2012? To develop features and tools for EthOS which will allow us to immerse ourselves into the mundane, ordinary realities of non-recruited people in the real world. Not respondents who have pledged to behave in a particular way by filling in a recruitment form. This is what 2012 has in store for us. Loved this post! I so agree: how can we expect consistency and complete neutrality of respondents when we can offer none of that ourselves (or, at best, we are aware of the problem and struggle with it on a daily basis)? I missed your presentation of EthOS for this year, but look forward to finding out more about it in 2012 and in testing out some new features. Thank you! indeed, it's the space around 'things' and people that define them in art, music and life. A friend once opened my eyes to Mozart saying his music was all about where the silent notes are, the spaces...so I listen to it in a very different way. Happy new year and realizations.